Reliable, durable, energy-saving, multifunctional, offering stable structure and precise operation, as well as comfortable and simple use – these are the features that characterize best quality ventilation – air conditioning units operating in contemporary, sometimes very demanding buildings. 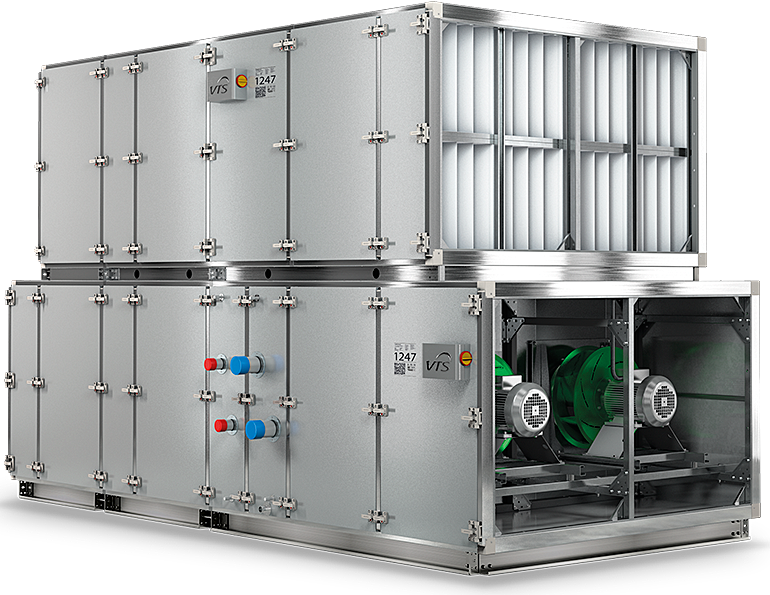 With these features in mind, VTS would like to present the VENTUS 2016 air handling unit, the outcome of knowledge and experiences gathered for many years and embracing the construction and operation of ventilation devices. Meeting the needs of our clients, we used our best efforts to increase the functionality and effectiveness, and to supplement our products with a series of new, specialist functions. To learn about the details of modifications introduces, please visit http://vtsgroup.pl/VENTUS/VENTUS2016/en .